Nitpick Dept: Why re-draw Deathklok…unless it was done solely to alter Pickles so that he more closely matched his “inspiration”? 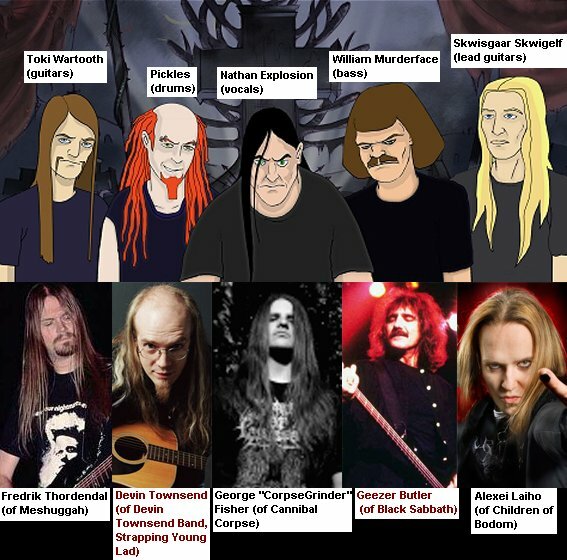 I pretty sure this is one of the early designs for Dethklok. I always thought Chuck Billy.